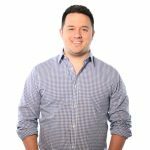 Even though infographics usually look complex and professional, it is actually easier than you think to create your own. Below, we will share our top 5 resources to help you design and implement your very own infographic. Before beginning the creative process, it is important to understand the purpose and function of an infographic. This article will give you a peek into the science behind infographics and how to use them. The secret is to make complex data understandable and attractive. 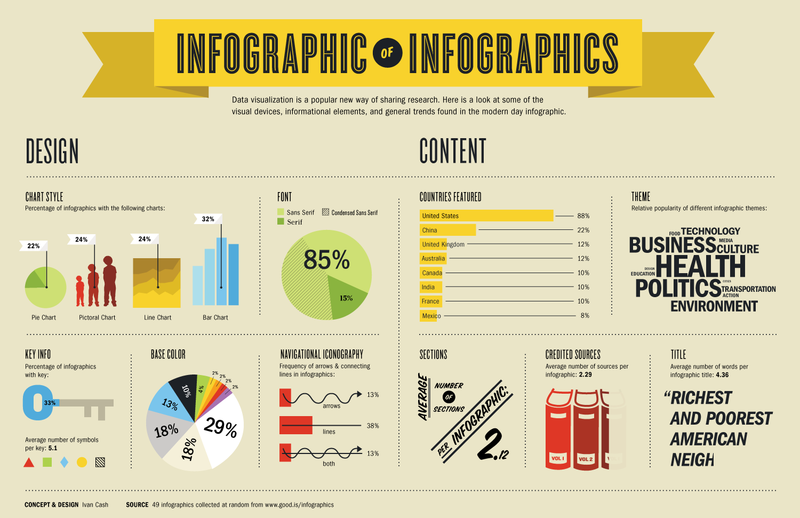 First, decide what kind of content you want to include in your infographic. What kind of message are you trying to send? What do you want to communicate? This article will help you in that brainstorming process. The main ingredients in a successful infographic are an original idea, interesting data, simplification, honesty and humility, and trust. Ask for feedback from others. A set of fresh eyes can help point out potential distractions or improvements. Clearly define your concept as well as your goals. What impact do you want this infographic to have? Make sure your data is reliable. Pay close attention to the flow. Does it make logical sense and is it visually easy to read? Trust your judgment while incorporating feedback from other members of your team or even customers and site visitors. This involves all the steps in the process, so refer back to this article as you begin your creative process. Be patient. Watch your infographics and take note of the ones that are more successful or even go viral. 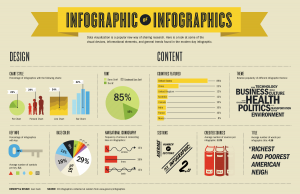 Creating infographics will get easier and more profitable over time.